An Israeli cloud software firm has developed a virtual attendant for enterprises that can offer real-time guidance to employees for operational tasks. 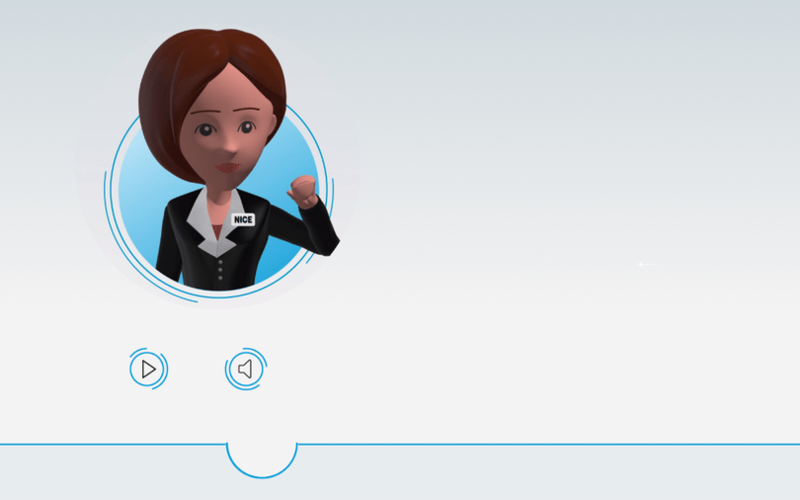 Nice Employee Virtual Attendant (NEVA), built by NICE, automatically offers assistance when it identifies an opportunity. It can also be manually called into action and employees can seek assistance via voice or text chat. "NEVA's intelligent decisioning engine will translate the request into structured workflow actions and execute on behalf of the employee by interacting with desktop systems," the company said in a statement. NICE, which is headquartered in Israel and listed on Nasdaq, said the robotic attendant can even carry out complex requests, thereby driving efficiency of front and back-office processes, boosting sales delivery and ensuring compliance. "The NEVA innovation marks the beginning of a global paradigm shift, proving how intelligent robotic software can enable both human employees and leaders alike to reach their best performance potential,” said Miki Migdal, president, NICE Enterprise Product Group. NICE also said that enterprises could use the assistant to train new joinees through a step-by-step process. In addition, NICE said that the attendant can be used to remind employees to follow policy-based processes, such as reading a required disclaimers, checking a required box, or completing a step in the process. In India, some companies have been toying with the concept of virtual employees based on artificial intelligence and machine learning to improve both internal processes as well as customer experience. Bajaj Allianz has a virtual employee called Eve which conducts video interviews to determine aptitude while hiring new talent. Similarly, Kotak Mahindra Bank has a virtual assistant catering to customers that can converse in Hindi and English.